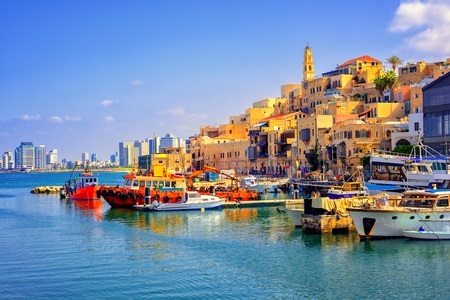 If you’re unsure of where to honeymoon but eager to plan the trip of a lifetime, consider visiting Israel. Wedding season is officially upon us and many couples are making and finalizing honeymoon plans. 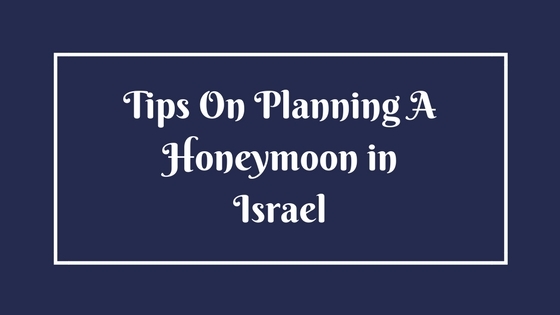 It’s not uncommon for Jewish brides and grooms to go to Israel but proper planning is necessary. While you will spend a lot of time sightseeing, you’ll want to establish a nice place to come back to after a day of adventure. There are many great hotels to check out with something all of which offer different accommodations and amenities. The Mamilla Hotel is considered one of Israel’s most luxurious hotels. Meanwhile, the Beresheet Desert Resort is located 800 meters above sea level with incredible views that will make you feel as if you’re among the stars. One of the best reasons to go to Israel is to enjoy the stellar cuisine that it has to offer. One of the most famous restaurants is Catit, an award-winning establishment renowned for its gastro dishes. If you stay at the Mamilla Hotel, take advantage of their rooftop restaurant where delicious food is served to you on oversized, unbelievably comfortable couches. It is an establishment that also gives you a birds-eye view of the Old City. Of course, no trip to Israel is complete without checking out some of the incredible sights. Enjoy hiking to the top of Mount Carmel National Park which is covered in gorgeous evergreen trees as far as the eye can see. If want something genuinely relaxing, check out the SeaZen Resort which offers numerous adventures including the chance to enjoy a night time safari, an exhilarating mineral bath, or a visit to the local winery. Don’t forget to start looking at some of the many romantic escapades that Israel provides. You can take a hot air balloon ride into the sky or hold hands through the historic alleyways of Jaffa. If you’re looking for a taste of the nightlife, spend a night in Tel Aviv which is known as one of the most vibrant cities in the world. While your honeymoon in Israel will truly be a trip to remember, planning a wedding ceremony that will stay in your hearts forever is so important. Rabbi Richard Polirer can provide you with a sacred wedding ceremony in accordance to Jewish law while focusing on your personal preferences. Contact him today to learn more.